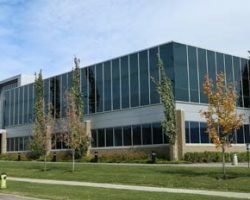 10840 27th Street SE is a single tenant office/industrial building in Calgary, located near Deerfoot and Barlow Trails. The property was built in 2008 and is situated on 8.72 acres of land. 10840 27th Street features a fitness area as well as a rooftop patio. The property is part of a portfolio known as the Graham Portfolio.